The All-of-us Society for Arts Presentation (ASAP) is an artist-run centre located in Antigonish County, Nova Scotia. 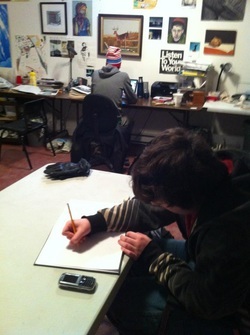 On June 5, 2010, local artists and art supporters founded ASAP, the first artist-run centre in northeastern Nova Scotia. ASAP’s mission is first and foremost to promote the work of local and regional artists, but also to address the lack of a local infrastructure, promotion, education, and funding opportunities for the visual arts in our community. Together, we broaden community engagement in the arts and advancement of the visual arts to enrich the quality of community life. ASAP is a top regional arts centre; benefiting both regional artists and the public, paying acceptable fees for the public display of art as set by CARFAC, providing reasonable facilities, and creating conditions and opportunities for exhibiting and participating in local art production.